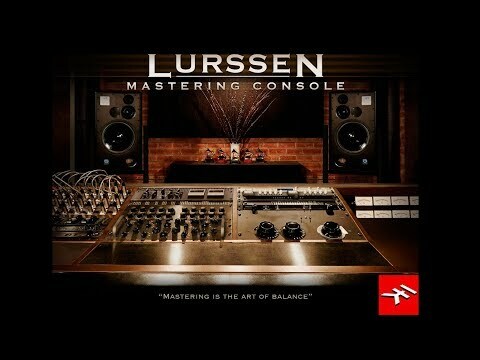 Lurssen has its supporters and detractors around here, but this looks kind of interesting for anyone looking to master on his or her own. I imagine the demonstration will showcase the desktop version, but it’s pretty much the same as the iOS version. It airs today, August 7, at 10:30 am PST and 1:30 pm EST. It’s a good song and watching and hearing him do his thing is quite inspiring. Of course, the parts are wonderfully recorded and played, which is also a pleasure. He’s got a few nuggets of wisdom about reverb and EQ. @supanorton Thanks for the link! Yeah thanks for posting this @supanorton will watch it later when I get a chance. Have always liked the sound of this app with the demo version I used to play with but was put off by a combination of price and your trouble's getting it fixed last(?) year. @ikmultimedia is this app still supported? Absolutely. It is still an important supported product.